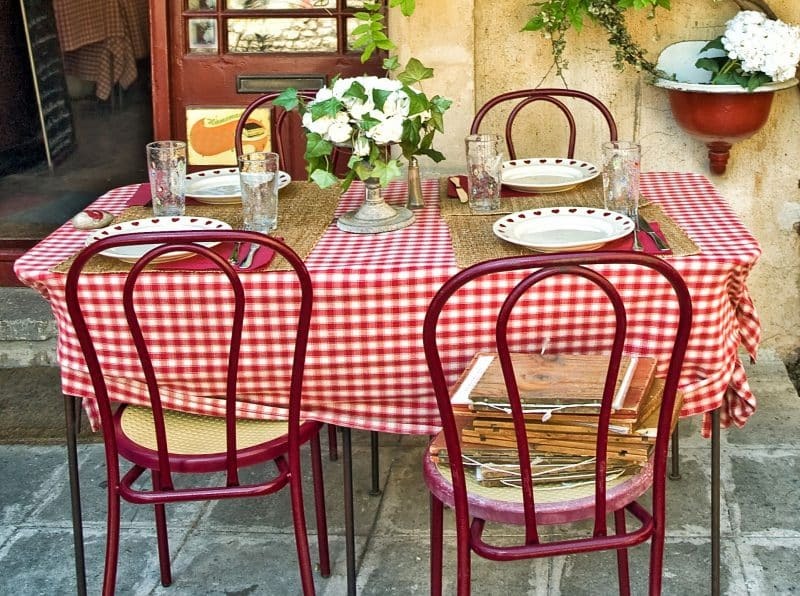 This is no secret that in France people love to linger at the table — a Sunday lunch can last hours and let’s not even talk about the holiday meals, you always know when it starts but you never know when it ends! Of course, nobody is talking about having lunch and dinner that last hours – whether French or American, families are busy especially during the week so that’s not practical on either side of the Atlantic. However, simply slowing down and sitting down at the table for at least 20 minutes while you eat can make a big difference for your health, your weight, and your spirit too. So check Art of the Home top 4 reasons to eat slowly below and get joy out of every meal while you lose a few pounds. Enjoy and bon appétit! Eating slowly prevents overeating: researchers have told us for many years that it takes about 20 to 30 minutes for the brain to get the message that we are not hungry anymore and that we are full. Those messages are sent by two important hormones – the leptin, the satiety hormone and the ghrelin, the hunger hormone. Leptin is a protein hormone secreted by the fat cells. When leptin levels reach a certain threshold (everybody has a different one and it varies over time), your brain gets the signal that you ate enough to meet your energy needs. The other important hormone is the ghrelin hormone which tells you when you are hungry (or not). The ghrelin is secreted when your stomach is empty and its secretion triggers your need to eat. As you start eating, levels of ghrelin go down and you feel less hungry. Now, all those messages take time to be processed (about 20-30 minutes) and if you eat too fast, you are already done with your double serving of chocolate cake by the time your brain finds out that your ghrelin levels came down to normal and that your leptin levels are high enough. Bottom line is that if you eat too fast, you will most likely overeat because you truly still feel hungry (even though in reality you are not) and you truly do not feel full (even though in reality you are). So give yourself the gift of time and lose a few pounds without dieting! Eating slowly helps digestion: eating slowly requires chewing your food, the first step and vital part of a healthy digestion. Eating slowly enhances the pleasure of the table: by slowing down, you have more time to enjoy and be mindful of what you eat. Eating slowly promotes family bonding and fosters family discussion: eating slowly allows you to enjoy simple pleasures with family or friends. For lunch , whether at work or at home, it’s a great way to take a break, reduce stress levels, and get a boost of energy for the rest the day. For dinner, it’s a great way to find out about everybody’s day and unwind. We’re not talking about having deep discussions necessarily, just catching up – it’s amazing what can come up between two bites!